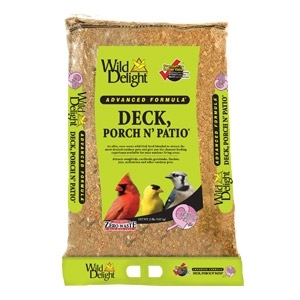 An elite, zero-waste wild bird food blended to attract the most desired outdoor pets and give you the cleanest feeding experience available for your outdoor living areas. Feed desired amount in a tube feeder with large holes, hopper feeder, platform feeder or on the ground. Keep feeders full. Clean feeders frequently. Keep clean, fresh water available. Feed all year long. 4.5 lb jar, 5 and 20 lb. bags.